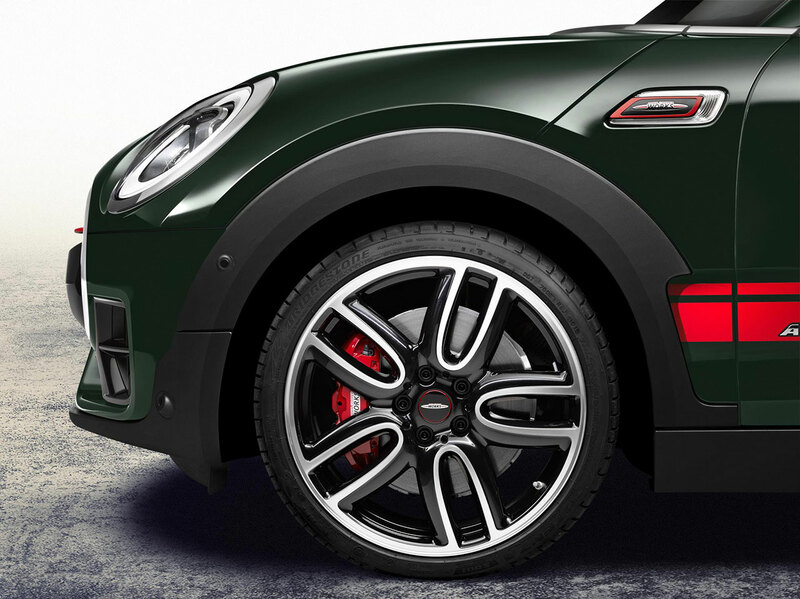 The ALL4 all-wheel drive system deploys the engine’s output to maximum good use. 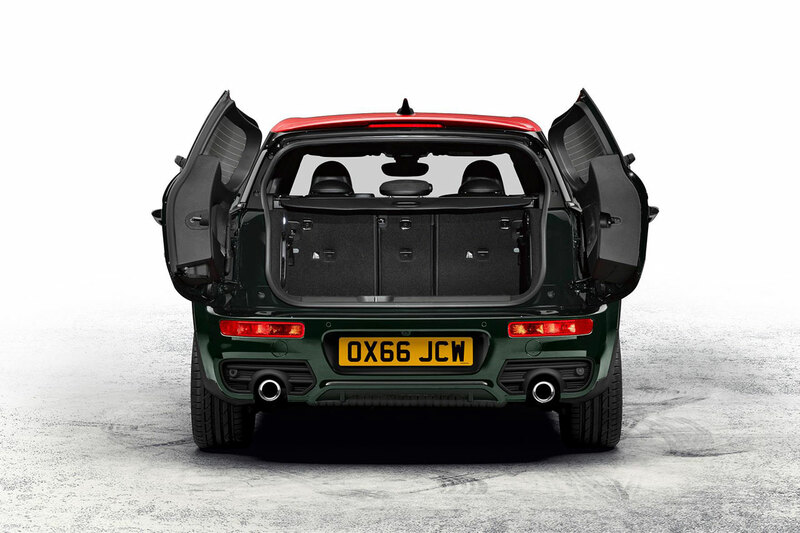 The system uses a bevel gear power take off on the front differential and an electro-hydraulically controlled ‘hang-on’ clutch mounted on the rear axle to distribute the engine’s power as required. In normal driving and with the DSC active, the vehicle is effectively front-wheel drive, the clutch only sending power rewards when required - in just fractions of a second - if the need to do so is detected by the DSC system. 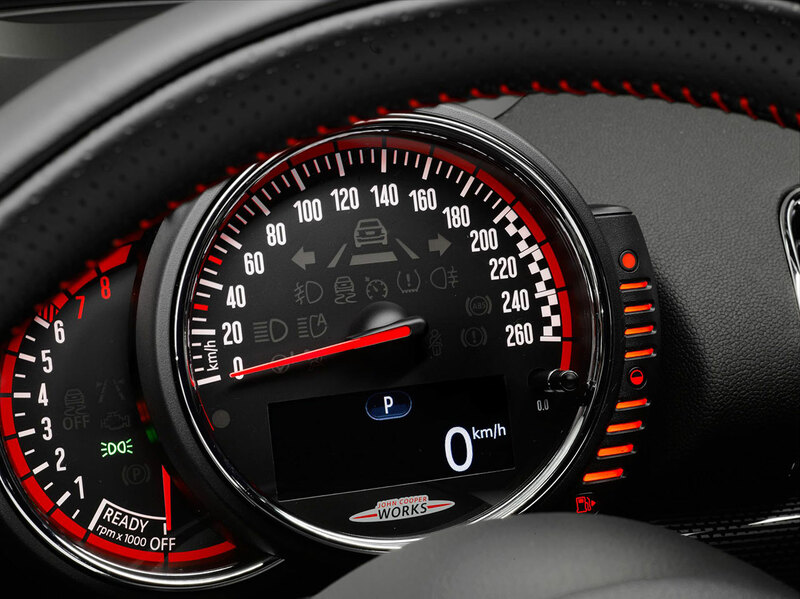 The DSC continually monitors wheel speeds, accelerator position and engine torque, amongst others, plus takes into account the dynamic traction control setting and MINI Driving Mode, thereby quickly identifying any possible need for torque distribution – either in slippery conditions or during especially dynamic driving. 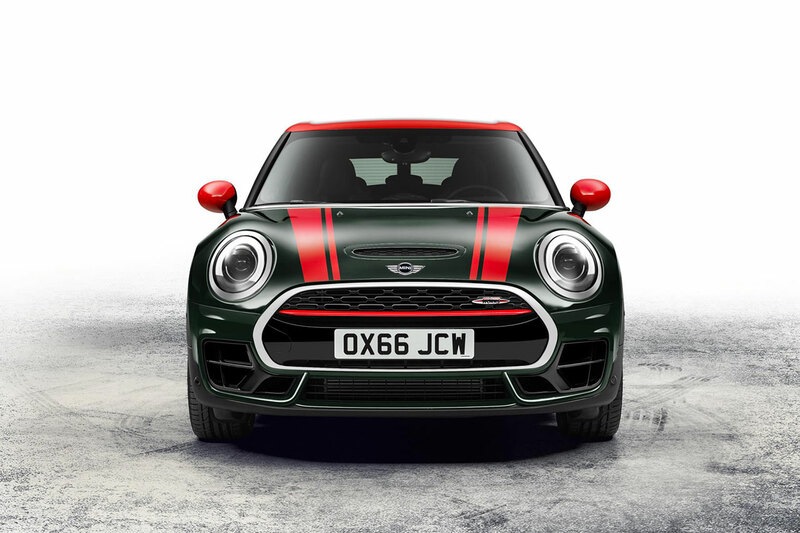 The standard Dynamic Stability Control (DSC) also includes Dynamic Traction Control (DTC), Electronic Differential Lock Control (EDLC) - which acts as an electronic locking function for the front axle differential - and Performance Control, which assists agile turn-in when taking bends at speed. 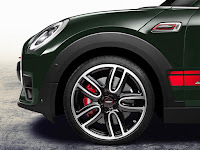 The standard functions of the electromechanical power steering include speed-related steering support for maximum precision when cornering at speed and for comfortable manoeuvring at low speeds. 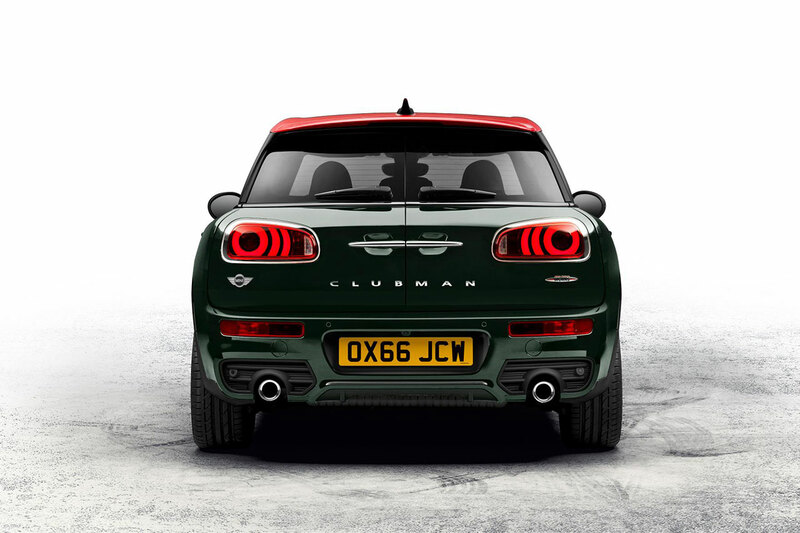 LED headlamps are fitted as standard, and they can be supplemented with a turning light function including adaptive light distribution, if desired. In addition to air conditioning, Bluetooth hands-free telephone facility and electric parking brake, other standard features include Park Distance Control with sensors at the rear, cruise control with brake function, and Comfort Access - also enabling touch-less opening of the split doors by means of a foot movement under the rear apron. 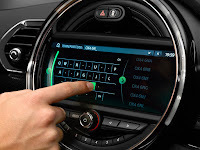 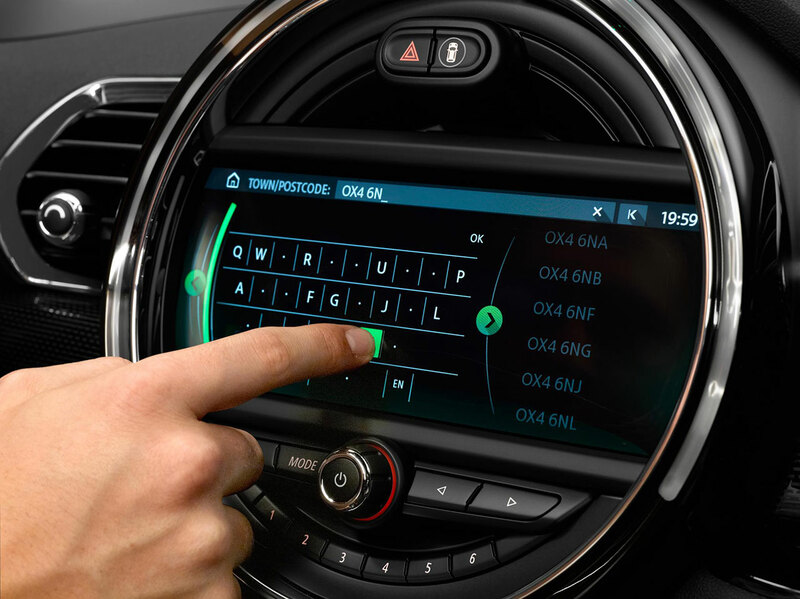 The standard fit audio system is the Radio MINI Visual Boost including USB socket and operation via the MINI Controller in the centre console, as well as the 6.5-inch colour screen in the central instrument fitted with a MINI Navigation system. Over 80% of MINI John Cooper Works Clubman customers are expected to choose the Chili pack which adds a host of additional extras to the car. These features include the customer’s choice of any upholstery from the range, heated seats, 19” Course spoke alloy wheels and the storage compartment pack. 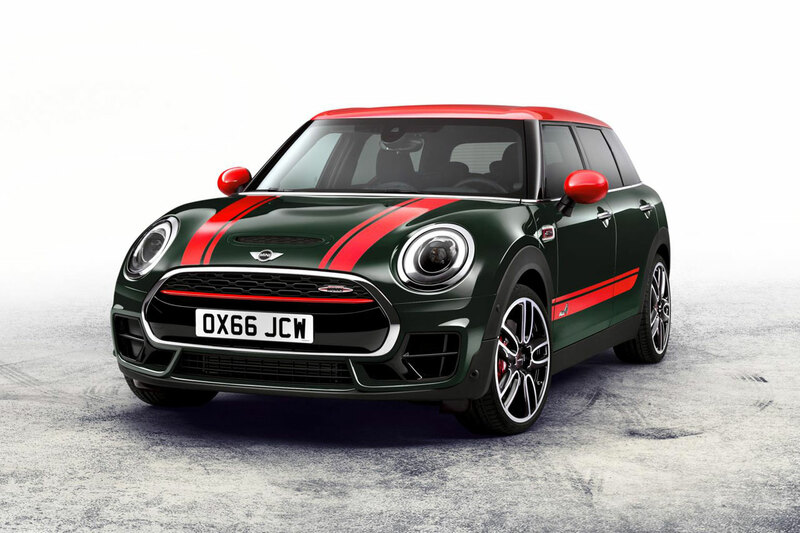 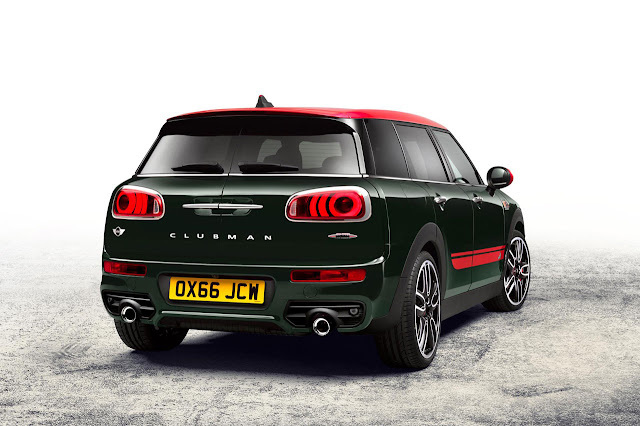 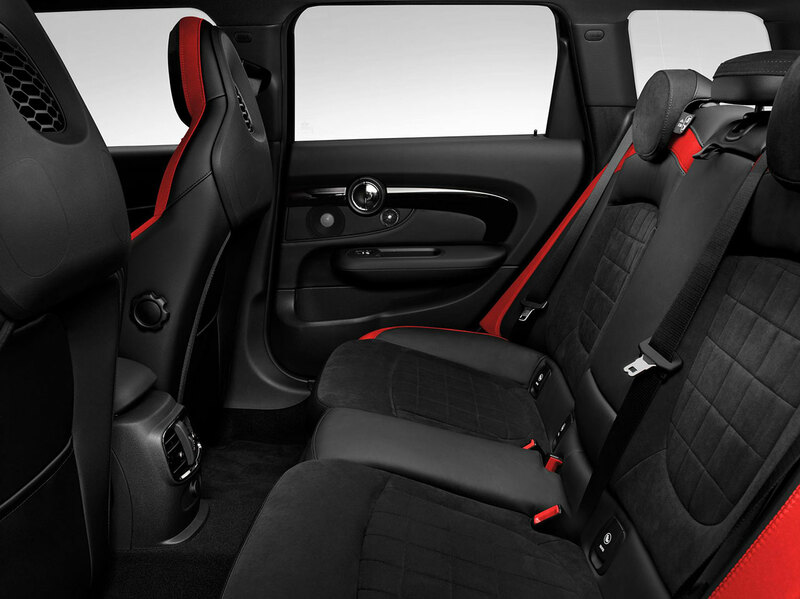 Chili pack is priced at £2,000 on MINI John Cooper Works Clubman.